In Manga, hybrid characters between animal and human (foxes, cats, bunnies..) are quite common. They usually have the characteristics of the animal such as ears, tail, whisks or snout-like noses. 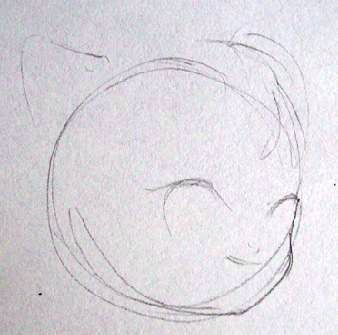 We will draw a cat-girl. 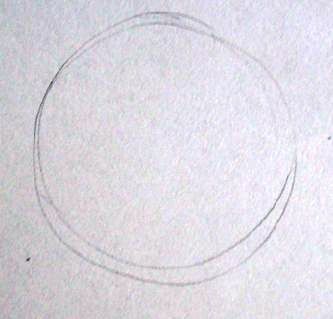 I begin with a circle and I add her chin. 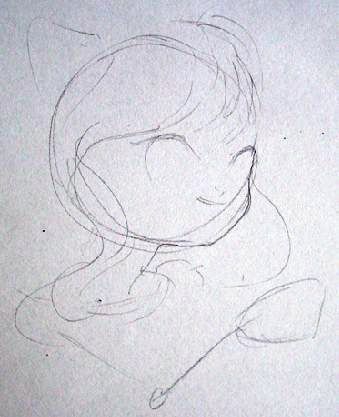 I place her facial traits without pressing my pencil hard. I will include her hand/claw so I also place it in my draft. As you can see, her arm is just the "skeleton". Later on, when we learn how to draw the human body, you will see this is the usual way of drawing anatomy. We begin with a sketch and then we cover it with flesh and clothes.